[August 19, 2008] Community action of some kind is commonplace inside most churches. 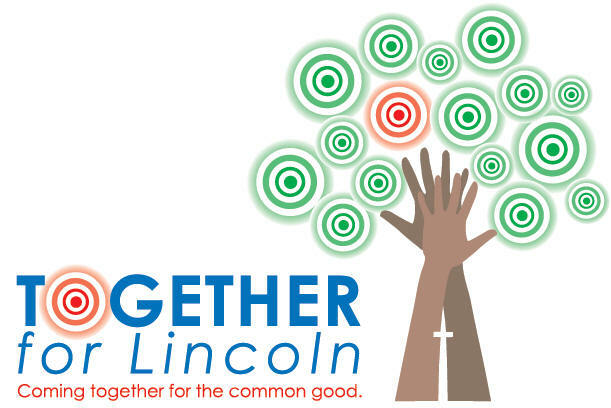 But for the first time in Lincoln, 11 churches -- and that number is anticipated to grow to more than 15 -- have banded together to create the campaign "Together for Lincoln." This unified action will involve all participating churches being committed to working together to serve the community, from building wheelchair ramps to visiting the homebound. It began when Lincoln Christian Church and Jefferson Street Christian Church started talking about doing a "Faith in Action" program together, and it evolved into a program that involves all churches working together for one day on service projects. Dustin Fulton, preaching minister for Jefferson Street Christian Church, said, "We talked about starting some kind of program, and then the question was raised to possibly try and do something like this with all of the churches in the community." So Ron Otto, pastor of Lincoln Christian Church, and Fulton went around to several of the pastors in Lincoln, and many expressed to them that they had been wanting to do something like this for a very long time. Adds Fulton, "So, we really are convinced that this is something that God has been laying on the hearts of our churches here in Lincoln for a long time." The kickoff day for the campaign is Sept. 28. On that Sunday, several teams will be sent directly into the community to work according to the needs that have been submitted. The day will end with a community worship gathering in the evening. To submit a need, community members can fill out a project application that will be sent on for consideration. Applications are available from each church as well as at Action Rental, 101 S. Kickapoo, and the State Bank of Lincoln branch located within the Wal-Mart Supercenter. The projects and activities that will take place will be selected based on the needs of those within our community as determined by the submitted applications. Projects may consist of minor home repairs such as basic electrical and plumbing repairs, helping to provide food for the volunteers, and cleaning up yards for the elderly. 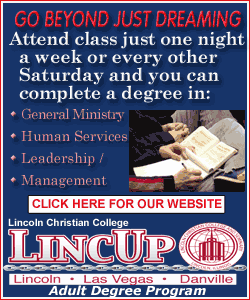 Volunteer sign-up forms are available at participating churches, as well as online at www.togetherforlincoln.org. The Together for Lincoln site on the Web will also be updated monthly with specific needs that will arise where you may be able to help or contribute, along with other important information. To make a monetary donation, a fund named Together for Lincoln has been set up at State Bank of Lincoln. Also, donations can be given at any of the participating churches. All of the donated funds will go directly for materials and projects in the community. When asked what impact he hopes to see in the community, Fulton stated: "There are several things that we would love to see happen. We want to help as many people in need as possible. We want people in our churches and in the community to see what happens when they simply come together in the name of Jesus. And we would love to see people who have given up on the church to give it another chance." So far the churches involved are Cumberland Presbyterian Church, Faith Assembly of God, First Presbyterian Church, First United Methodist Church, Holy Family Catholic Church, Jefferson Street Christian Church, Lincoln Christian Church, Lincoln Church of the Nazarene, Neighbors to Nations Community Church, Trinity Episcopal Church and United Pentecostal Church. Any church that would like to get involved simply needs to send a pastor or a volunteer to the monthly planning meetings. The meetings are on the first Monday of every month at 7 p.m. at the offices of Integrity Data, 110 N. Kickapoo St.